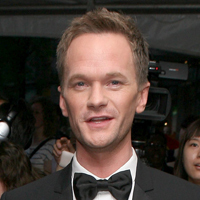 NEW YORK, New York (X17online) - The reviews are in, and critics loved Neil Patrick Harris as host of the Tonys. But, there were a few other winners as well ... the winners of the awards themselves. To be sure, The Book of Mormon was the big winner of the night. The musical, from the creators of South Park, was a surprise hit on Broadway and won Best Musical and Best Original Score, among other accolades. As always, several film and television actors were present at and/or nominated for awards. Frances McDormand took home the Best Actress award for Good People, and made headlines for her appearance. The actress wore a simple dress, a jean jacket and messy hair to the show. The full list from Sunday night's awards show is below. Special Tony Award for Lifetime Achievement in the Theatre: Athol Fugard, Philip J. Smith. Isabelle Stevenson Award: Eve Ensler. Special Tony Award: Handspring Puppet Company.